Wooden dividers installed by customer. "Love the Truck-Tool-Box! I have them in all my work vehicles and would not be without them. Organization is efficiency and efficiency is profit." "Here ya go! Love the Tool Box! It has been working out better than expected. I even carry my four wheeler on top when I go to the lake! It was everything I had hoped it would be, on a scale of 1-10 I give it a 9. The only reason it gets a 9 is because of the plastic handles and locking mechanism. BUT, it really does work well for me, as far as working out of, it’s a 10, convenience 10, toughness a 10. And although the handles are plastic I can lock my tailgate so my tools are even more secure than before. Definitely worth the purchase! Thank you!" "Well, I got a picture of the work truck before it went left the maintenance yard. Once it leaves it doesn’t stay in one place very long. WTA is the public transit system in Bellingham, WA. 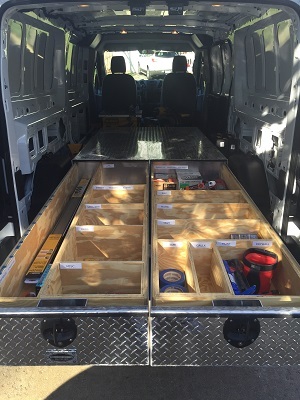 We installed the N96 tool box on one of our bus route maintenance trucks, and it is used to hold some of the long-handle tools (shovels, racks, etc.) that are used to service and maintain our 1,400 bus stops throughout the county." "Cape Hatteras National Seashore Fire Crew is MORE than happy with our newest box from Truck-Tool-Box.com! This is the second order we have placed with your shop and both boxes were exactly what we were looking for. The entire process- from order placement to delivery was smooth and pain free, with helpful, friendly staff to help through the entire process. The new door design ( hydraulic lift arms) is much appreciated! Keep up the great work! We will definitely look to you for any future tool box needs!" "I received your custom box today. Wow! My customer couldn't stop smiling. Thank you for the timely manner you stood by, and that clean looking box. Keep up the great work, and thanks again!" 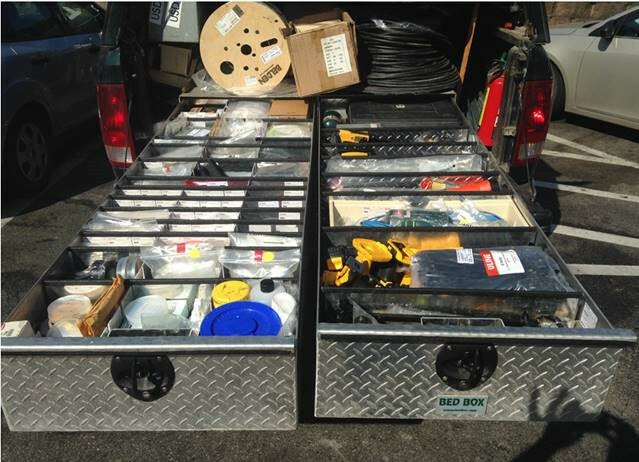 "I have received amazing customer service from Bobby Hyatt with our search for a tool box for our service truck. He has been great with communication and effort." "This tool box is exactly what I have been looking for!! 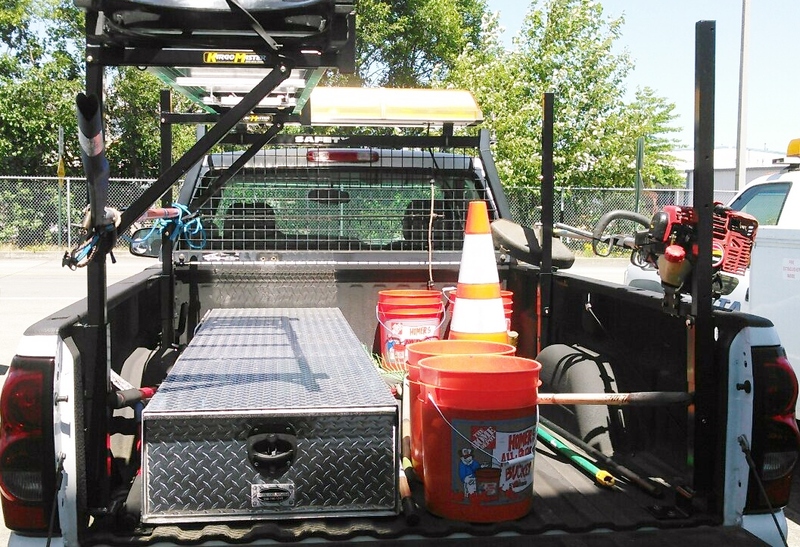 For anybody who works out of their truck, they know what a problem toolbox/storage solutions can be; some cut down on your overall bed length, and others create a dead space that only collects tools and materials that you forgot about and trash!! I recently changed from my 1 ton workhorse to a tundra. I switched because the kids were tired of riding in dad’s old work truck and, quite honestly I needed to change too. My tundra came with a sleek tonaeu cover and I wanted a storage solution that didn’t interfere with that. The BB 72 was perfect choice! Not only did it solve that problem but with the box spread out over the whole six-foot length of the bed you can safely store long items that won’t fit in conventional toolboxes! Also the shape allows you to haul anything from a pallet of concrete sitting on top to a bundle of 10′ studs with ease! 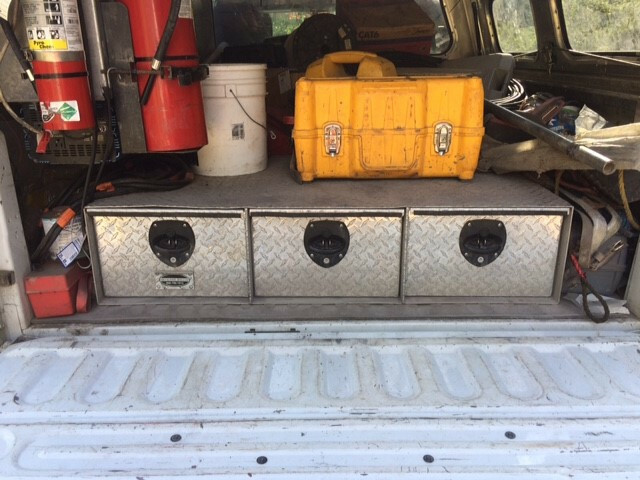 This toolbox is perfect for an individual who works hard out of his/her truck but also plays hard with his family and friends. I’m still breaking it in but so far it has exceeded expectations! From the first phone call I knew I was in good hands as the person I talked to helped me through the design process and figuring out exactly what I need! He even offered to make me a custom job box, but I ended up going with the BB 72 in the end because it was the best of all worlds. Five stars!!" 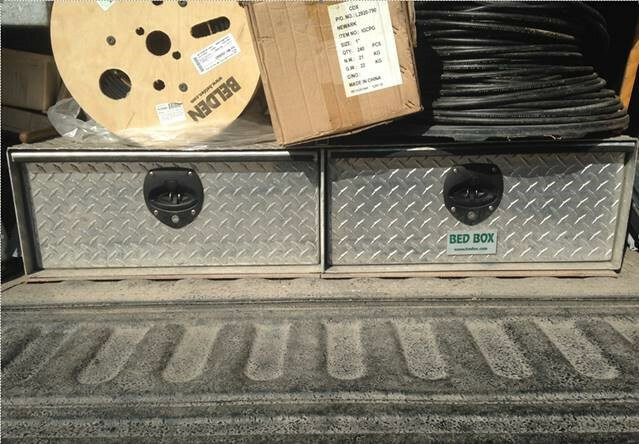 "These aluminum truck boxes are amazing, really awesome! I purchased our first box early this year and was so impressed with the quality, especially the heavy load drawer capabilities, that I recently purchased another box for an additional truck. I couldn’t be happier with every aspect of the box’s construction and functionality. I will be placing another order to outfit the rest of my fleet in the very near future. It’s great to know these high quality toolboxes are actually Made In The USA!" "I've been in the building trade for over twenty years and have owned several truck tool boxes during that time. The biggest problem I experienced with these previous boxes pertained to the quality, durability and the actual material used to construct the toolbox. Thin material would cause my boxes to bend out of shape, keeping the doors and lids from closing properly. Also, I was really limited in the selection of options. Since purchasing from Truck-Tool-Box.com all of these problems are in the past, where they belong! My new toolboxes are constructed with heavy duty, high quality materials that are more than double the thickness of what I used to rely on. I really appreciate that these boxes are built to the exact specs I provided. The side boxes and accessories I asked for were very specific. Bobby and his team produced exactly what I had asked for! From design to delivery the entire process was easy and pleasurable." 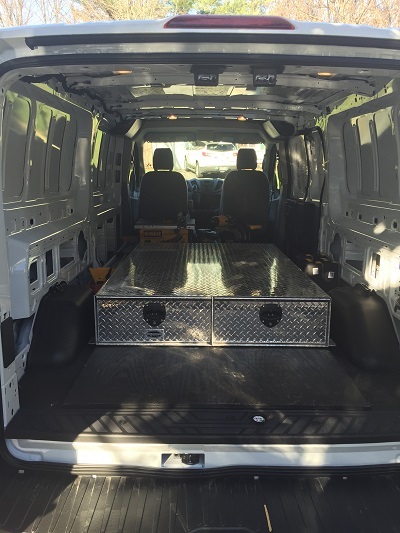 "We received our toolbox just today and everyone is impressed with the quality and craftsmanship of the product and the first rate service we received. 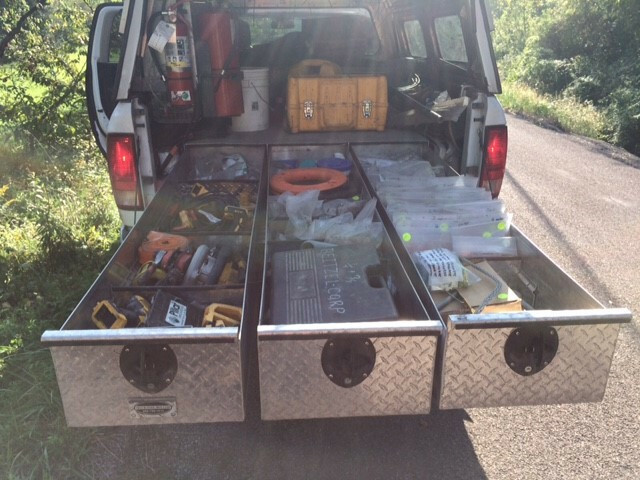 Truck-Tool-Box.com will be our first call when we need to replace the boxes on the rest of our vehicles. Thanks again for all your help!"